One of our greatest passions and joys as a church is found in the preaching of God’s Word. The apostle Paul told Titus that God has revealed his Word through preaching (Titus 1:3). Likewise Paul told the Corinthian believers that through God’s great wisdom he has chosen to save those who believe the gospel through the foolishness of preaching. At Sunrise we believe that preaching holds supreme importance in the life of a church. As such our pastors take time to explain what God’s Word says and to proclaim what God’s Word calls people to do each Sunday morning and Sunday evening. Teaching MinistryLife brings plenty of challenges and struggles that lead to hard questions. At Sunrise we believe that the Bible has the answers to those questions. 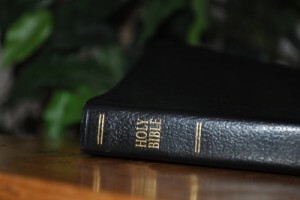 In order to find the answers to those questions, we teach the Bible. 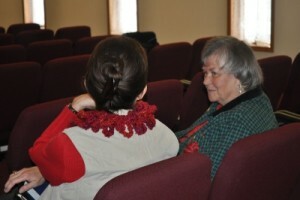 Our teaching ministry extends to all age groups. 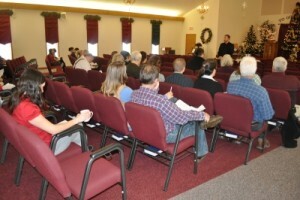 Everyone from little children to Adults are involved in Bible classes during Sunday School. On Wednesday evenings, we have training for the whole family. The wise king Solomon tells us in Psalm 127:3 that “children are a heritage from the Lord.” We believe Solomon’s words to be true and we therefore treasure our children as gifts from God. More than anything we want them to grow up to love God with all their heart, soul, and mind. 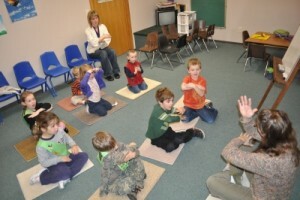 Sunrise Bible Church provides a variety of ways for children to grow in their love for God. For children we offer Kids 4 Truth on Wednesday nights during the school year, Vacation Bible School during the summer, Sunday School classes, junior church for the young children, and regular enjoyable activities. Ministry to adults is vital in our church. We want adults to both be served and to serve. You will find at Sunrise opportunities for monthly Bible studies for Senior Citizens, adult Sunday School classes, fellowship dinners, adult banquets, and Wednesday evening Bible studies. We also engage in special events such as our annual Ladies Christmas Tea, ladies’ retreats, men’s work days, and men’s breakfasts. The teen years are joyful, exciting, challenging, and frustrating at the same time for both teens and parents! At Sunrise we endeavor to enhance the joy and excitement of teens while addressing the challenges primarily through the ministry of God’s Word and the fellowship of other believers. We want their faith to grow and their families to be strengthened. Therefore we offer Bible studies on Wednesday nights, service opportunities, and fun outreach and fellowship actives on a regular basis for all teenagers.